I don't always think about New Year's Resolutions, but this is the first year that I'm completely out of school, working on the next step, and trying to figure out how to live my life, basically, so it felt like a good time to start thinking about goals for the year. Hopefully they will keep me motivated and encourage me to have fun and be productive in 2017! This one's a no-brainer. I graduated with college and now need a way to spend my days and make money! So if you're reading this and are an HR rep at an LA-based fashion company...hit me up! Every year, I try new trends and looks, and this year will be no different! What good is fashion if you don't experiment with it and try cool new styles? My look is always evolving and I can't see how my personal style changes this year. 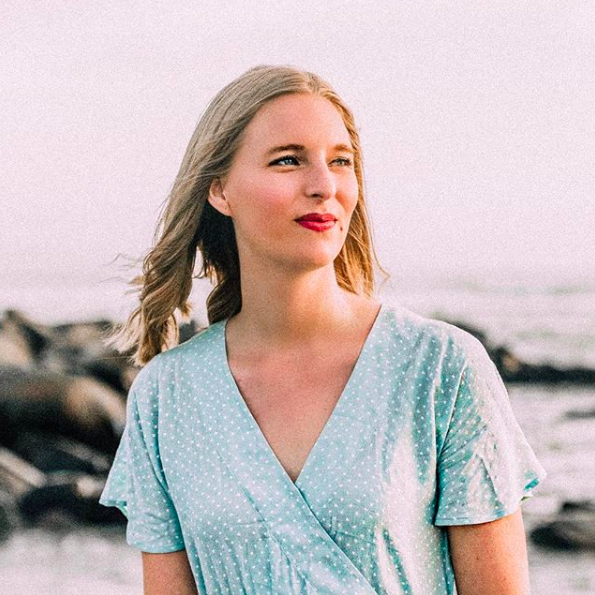 Last year, one of my goals was to share more personal style posts and make that more of an emphasis on the blog. This year, I want to continue showing you guys my personal style, but I also want to take my camera with me more places and document more. I have a lovely camera, so why not use it more? Even though I've lived in LA for over four years now, I feel like there's so much still to explore. I hope to check out more cool neighborhoods, restaurants, and hot spots this year, because I love this city and want to get to know it as well as I can! I've never lived on my own before and had my own real kitchen, so cooking for myself has become a necessity. Finally, my food board on Pinterest has become useful! If you have any cool recipes for me to try, send them my way! Great resolutions dear, thanks for sharing! Wishing you a wonderful New Year! Thank you, Faye! Hope you have a great start to the New Year! 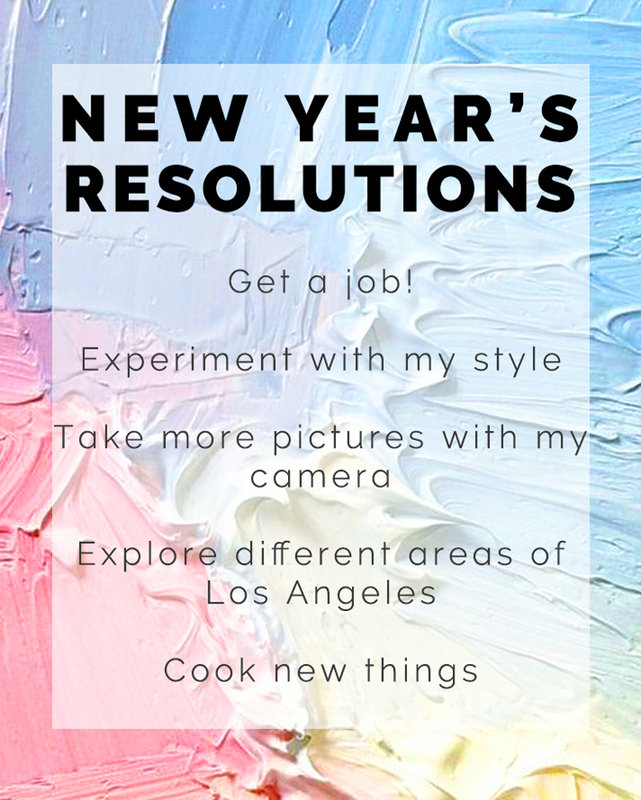 These are all great resolutions, I also want to be more creative with my style and travel more. Thanks, Carina! Travelling more is always on my list! I really want to go to Italy this summer! I like your resolutions. Happy New Year Dear.